Grodan stone wool products offer the benefits of high irrigation efficiency, plant steerability and uniform crop development. Grodan stone wool substrates are made from basalt rock that is processed at a very high temperature (over 2,900ºF). This hygienic, inert substrate offers vegetable and ornamental plant growers the opportunity to control growth from propagation to harvest. “Grodan stone wool products are inert,” said Rens Muusers, Grodan Technical Sales Manager for the USA. “This means the grower has full control over what is happening in the substrate. Being inert, Grodan stone wool doesn’t bind nutrients and chemicals like other substrate types may do. Any fertilizers, pesticides or other chemicals, including growth regulators, that are applied to the stone wool are available to plants. Linked to stone wool’s inert nature, Muusers stated growers have more opportunities to steer their crops. “Other substrates that aren’t inert may bind elements, pesticides or other chemicals that are applied to enhance plant growth or health,” he said. “This may result in having to apply more of a chemical in order to have the same efficacy. The amount of chemical that will need to be applied to stone wool will be lower and it will be more effective than in non-inert substrates. This also helps growers to minimize their input costs. Muusers stated by controlling the water content and EC in the stone wool, growers can influence the plant balance between vegetative and generative development. 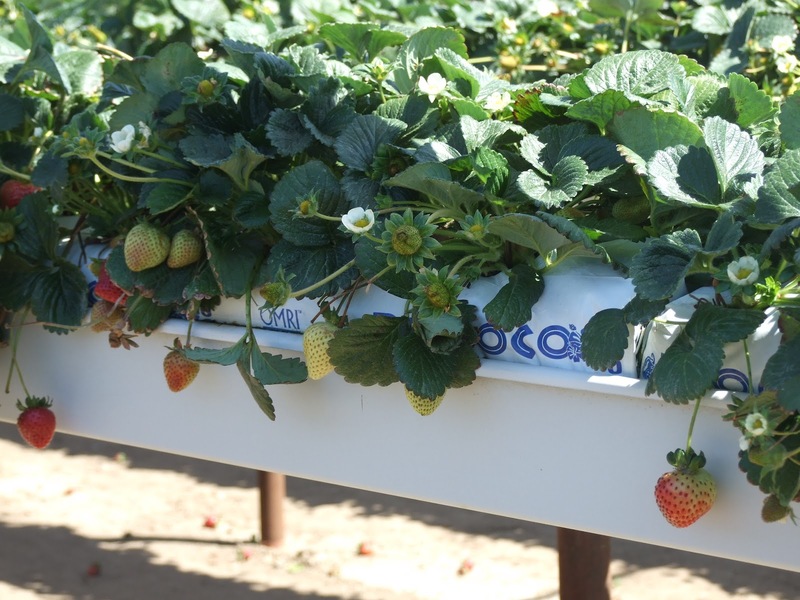 “The steerability offered by Grodan products can result in earlier production, improved plant, fruit and flower quality and improved plant health,” he said. “All of these benefits result in better resilience to insect pests and disease pathogens. Muusers indicated another benefit of using stone wool is crop uniformity. “Because Grodan stone wool products are manufactured in state-of-the-art facilities with strict standards and quality controls, it is a very uniform substrate,” he said. “Depending on the Grodan product being used, this allows growers to produce very uniform crops. The uniformity of seedlings produced in stone wool plugs results in faster germination and quick crop establishment. Grodan AO and AX stone wool plugs are ideal for starting many crops. The plugs are available in sheets that fit into 1020 trays. AO plugs are connected to each other at the top of the plugs. AX plugs are attached to each other at the bottom of the plugs. Muusers said there are also some options in regards to the seeding hole size as well as with the dimensions of the plugs. “The properties of the AO plugs are exactly the same as the properties of the AX,” he said. “The only difference is where the plugs are attached to each other. Grodan AX 25/40 cube with lettuce roots and stem post-harvest. 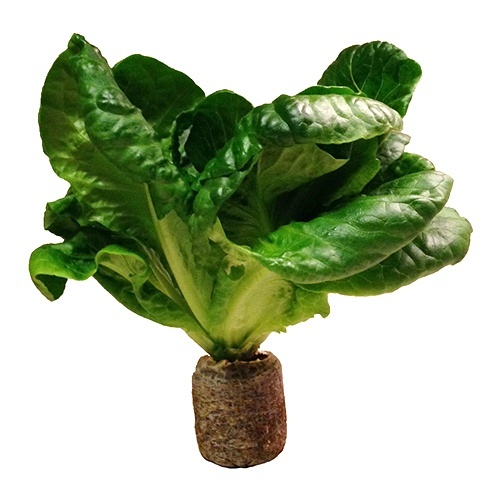 Muusers said both plugs are used mainly for leafy greens and culinary herb production. There are also growers who are using them for aquatic plants. 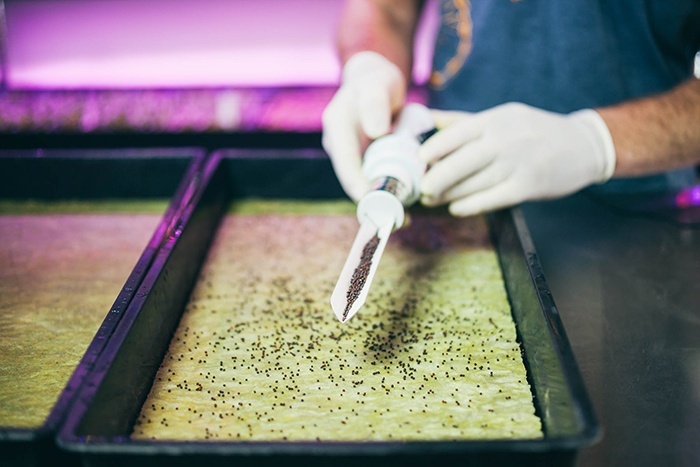 The Cress Plate is a fairly new product used primarily for the production of microgreens. It is the thinnest product of Grodan. It is only 1 cm thick, less than ½ inch. Cress Plates come in two sizes. One size fits into 1020 trays. A larger size is used by some growers who need customized sizes. Growers are able to cut the Cress Plate sheet to the exact size they need. Muusers indicated growers use Cress Plates in a couple of ways. Muusers stated reusing the Cress Plates is risky, just like reusing any substrate. Grodan blocks come in different sizes and are ideal for both ornamental and vegetable crops. There are different size blocks for different size crops. A standard block size is 10 cm-by-10 cm-by-6.5 cm, which is referred to as a 4-inch block. Muusers indicated that some growers put multiple plants into one block depending on the crop. The blocks, like the plugs, are inert and are steerable. Muusers stated the blocks are also important in regards to irrigation efficiency—how the water content and more particularly, the EC, are refreshed within the substrate. Muusers indicated that Grodan slabs come in different product types developed to meet the challenges and needs of different crops. There are Grodan slabs designed for vegetable crops. These crops are usually short term, less than one year. There are slabs designed for longer horticultural ornamental crops that are grown for longer than a year. The slabs for long term crops, including cut roses and gerbera, have a stronger fiber structure to withstand the longer production period. Next Generation 2.0 (NG2.0) is the latest substrate technology from GRODAN. This technology enables propagators and growers to produce more while using less water, nutrients and space. 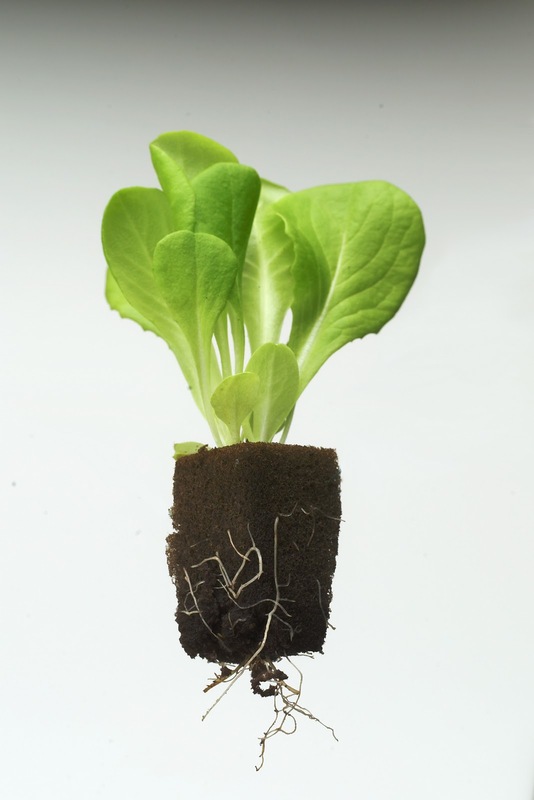 It creates optimal growing conditions for a whole season, and allows roots to make better use of the entire substrate. 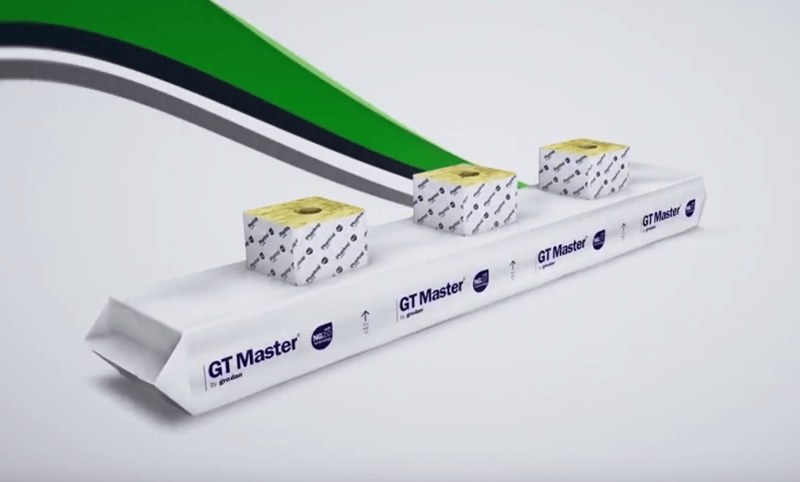 NG2.0 is available in plugs, blocks and slabs to help growers and propagators produce sustainable, healthy fresh produce for a growing population. The growing world population means the demand for sustainably produced and healthy fresh produce is continuing to increase. The greatest challenge facing growers is creating the ideal conditions for growth: not just for a few weeks, but all year round. Precision Growing plays a vital role in this respect. It gives growers the opportunity to produce more using less water and nutrients. GRODAN introduced Next Generation Technology in 2007. Its introduction already signaled a giant leap forwards in crop management, plant steering and root development. NG2.0 is an exciting continuation of this technology that has been extensively trialed in practical situations over the past years. The response to NG2.0 is extremely positive. NG2.0 is the next step in Precision Growing (see video below). NG2.0 adds new benefits to those already offered by Next Generation Technology. Water distribution is even more uniform and even better utilization of the entire substrate volume by the crop is ensured. Continual new growth of roots in both the block and the slab results in a healthier and more vigorous crop throughout the whole growing season. These benefits translate to higher yields, improved fruit quality and reduce the sensitivity of the crop to diseases. NG2.0 creates the perfect substrate for growers and propagators of plants. Beginning in 2016, GRODAN will implement NG2.0 starting in the Netherlands in a phased in approach. Future launches of NG2.0 will occur in other markets in Europe and North America. For more information on your specific area, please contact GRODAN (see below). The GRODAN Group supplies innovative, sustainable stone wool substrate solutions for the professional horticultural sector based on Precision Growing principles. These solutions are used in the cultivation of vegetables and flowers, such as tomatoes, cucumbers, sweet peppers, eggplants, roses and gerberas. The Group offers stone wool substrates together with tailor-made advice and tools to support Precision Growing, facilitating the sustainable production of healthy, safe, and tasty fresh produce for consumers. Sustainability plays a prominent role at GRODAN, from the production of stone wool substrates to end-of-life solutions. Founded in 1969, the GRODAN Group is active in more than sixty countries worldwide. The Group’s head office is in Roermond, the Netherlands. As a commercial hydroponic grower, it is important to be able to promote the production of high quality vegetables, grown in a clean and sustainable environment. Produced from pure basalt rock, Grodan’s Stone Wool Substrate (also commonly known as Rockwool) is of the highest of grades, promoting uniform wetting and providing excellent drainage. Grodan’s proprietary binder and wetting agent insure more uniform water dispersion and water holding, which leads to better root development throughout the entire substrate. Control of water and nutrients is very important to commercial growers to achieve maximum yields. Take control with Grodan Substrates today! Hort Americas Grodan Guide → Click Here! Grodan provides precision growing with a substrate that is inert and will not bind nutrients inhibiting a uniform crop development and a primary focus on the root zone. Further, steer-ability (controlling water content and electrical conductivity), irrigation efficiency and production optimization are all pillars of Grodan substrates. Hort Americas is an innovative leader in North America’s controlled environment agriculture industry (CEA) and strives to continually innovate in agriculture via premium technical support, professional salesmanship, unmatched customer service and outstanding products to our customers in the United States, Canada, Mexico, and the Caribbean. As an organic crop producer, you seek to optimally balance air, water and nutrients in order to attain maximum yields. Hort Americas supports your efforts by bringing you Riococo’s award-winning Coco Coir Substrates. With excellent water/nutrient retention and distribution, you can guarantee your root structure will receive the proper amount of aeration. Riococo controls the intrusion of contaminants and salts into their coir materials during collection and processing by implementing a stringent quality control system. This aids in maintaining the product’s consistency and uniformity. Riococo maintains detailed documentation for every product from its origin to final destination. Riococo has obtained an ISO 9001:2008 Certificate which shows the company’s adherence to quality management practices. In becoming certified, Ricococo has been certified to satisfy requirements of ISO 9001:2008 with respect to the management system governing the service provided to organic crop growers world-wide. Hort Americas offers several Riococo coir substrate products. Two of those substrates recently received OMRI certification for use in organic crop production. 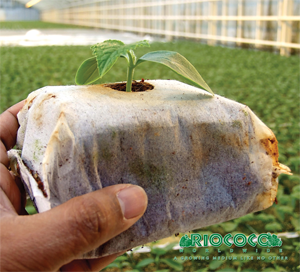 Riococo Coir Starter Blocks allow growers to propagate easier and faster to produce healthy plants organically. These biodegradable blocks are made from a 100 percent coir fiber compressed disc packed in biodegradable cellulose paper. The blocks have excellent water holding capacity. Equal distribution of water throughout the blocks ensures optimum management of the air and water balance and the equal distribution of nutrient solutions. 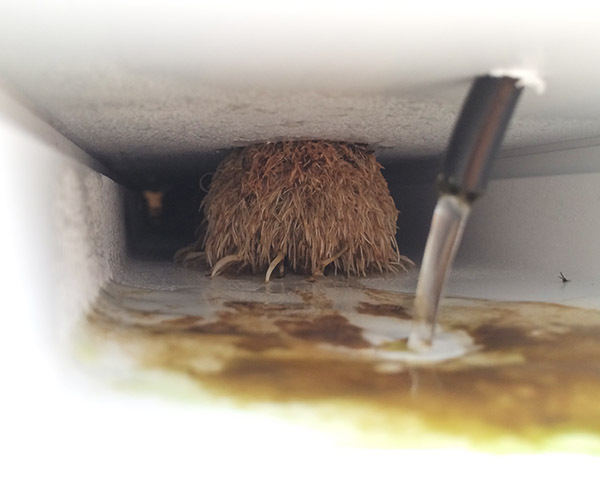 The blocks’ natural coir fibers retain water and keep roots well-aerated. The blocks’ open structure is maintained throughout the propagation cycle until the blocks are transplanted into separate growing containers. OMRI-certified Riococo Closed Bottom Organic Plugs work in a wide variety of production systems, including 1020 trays, grow bags, nutrient film technique (NFT), raft systems, aquaponics and aeroponics. 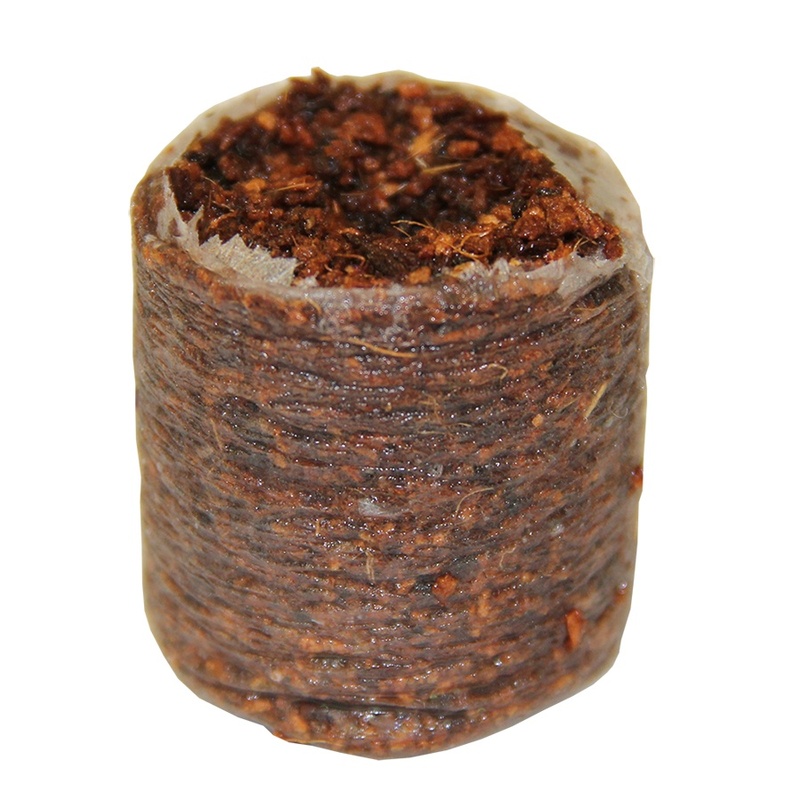 Available in 32 mm and 42 mm sizes, these coir plugs are ideal for the production of leafy greens and culinary herbs. Propagating in coco coir is a great way to establish plants. Now with the new Closed Bottom Organic Plug, CBOP, from Hort Americas you can reap the benefits of what you sow. CBOPs are available in three sizes to fit the specifications of your production system. Whether it is nutrient film technique, raft, grow bag, or directly back into Riococo blocks/slabs, the new CBOP is easy to use and has all the benefits of using Riococo coir. Currently, we have the 32mm (1.26 in) and 42 mm (1.65 in) size available. The 25 mm (0.98 in) size will be available in 2016. To see more product information on the Hort Americas Closed Bottom Organic Plug, click here. The most important thing when using Grodan stone wool is that you need to saturate the product fully before using it. When you don’t fully saturate it, some of the stone wool can stay dry and will be hard to get wet at a later stage (hydrophobic). A way to check if the product is fully saturated is to weigh the product and it should be above a certain weight. As an example a Grodan Delta DM6G Grow Block of 10 x 10 x 6.5 cm (4” x 4” x 2.5”) has a volume of 650 ml, so in theory if it is completely filled with water it should weigh 650 grams. However, there will always be air in the Grodan rock wool so we take a water content (WC) of about 85% after initial saturation, meaning the Grow Block should be approximately 550 grams or slightly greater. I recommend using nutrient solution at 5.5 pH when saturating the product so that nutrients are immediately available for the plant. For the germination itself nutrients are not needed, so some people saturate the plugs with just water and then add the nutrient solution immediately following germination. However, fairly quickly after germination nutrients are needed for further development. So to sure it is easier to saturate the plugs with nutrient solution. Most growers use 1/2 rate nutrient solution for starting then full rate at transplant. Below are characteristics of some of the most common types of Grodan used in hydroponic production. 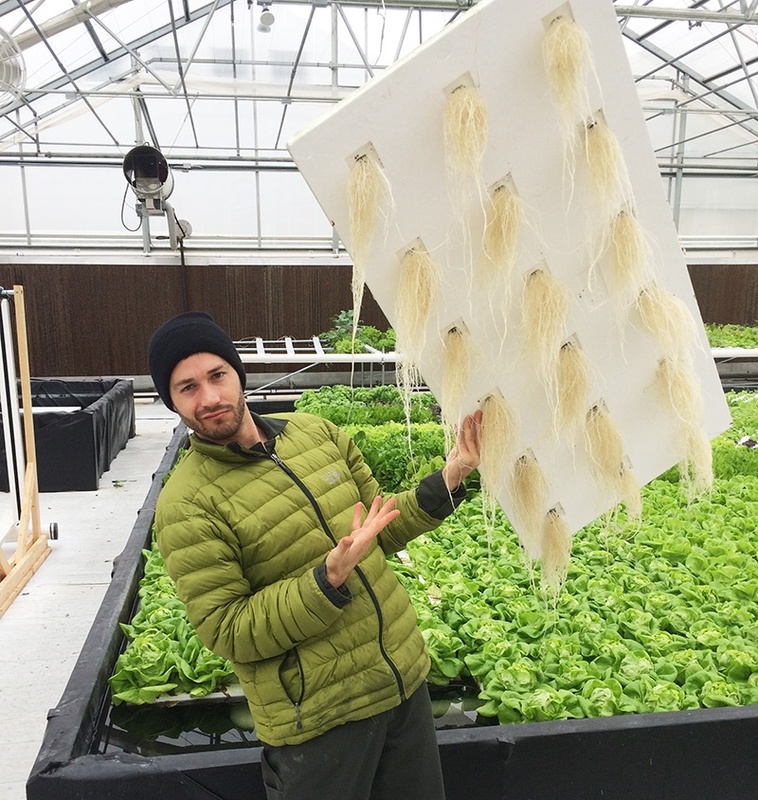 AO cubes are recommended for lettuce, herbs, and other greens in a raft system as the tapered base makes it easier to fit into the raft faster. 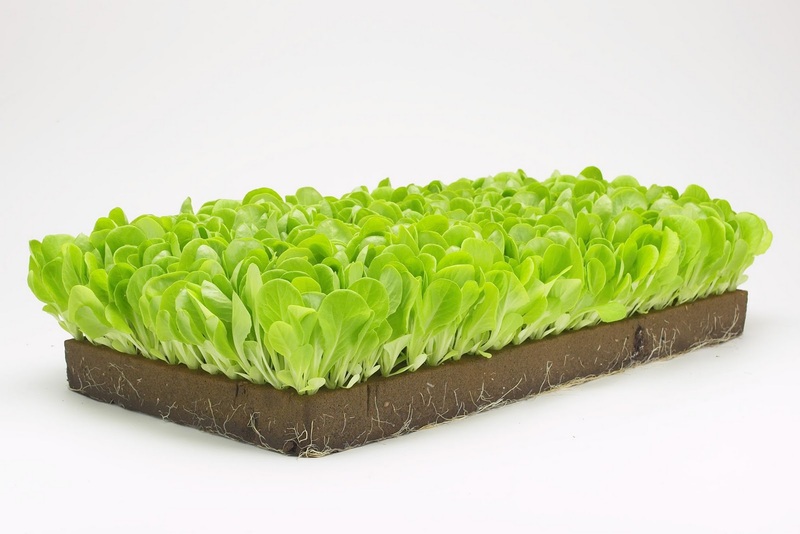 AX cubes are recommended for lettuce, herbs, and other greens in a NFT system as the wider base gives the plug more stability in the gutter. Coir has become a major component of both greenhouse vegetable and container crop production. 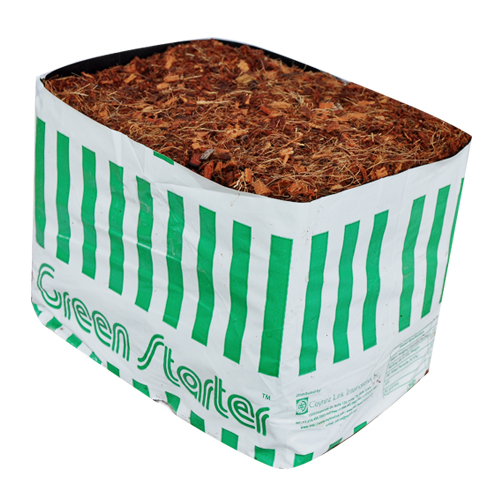 It can be used by itself, for instance in grow bags, slabs and propagation cubes, or it can be used in growing mixes with other components like sphagnum peat, perlite and bark. 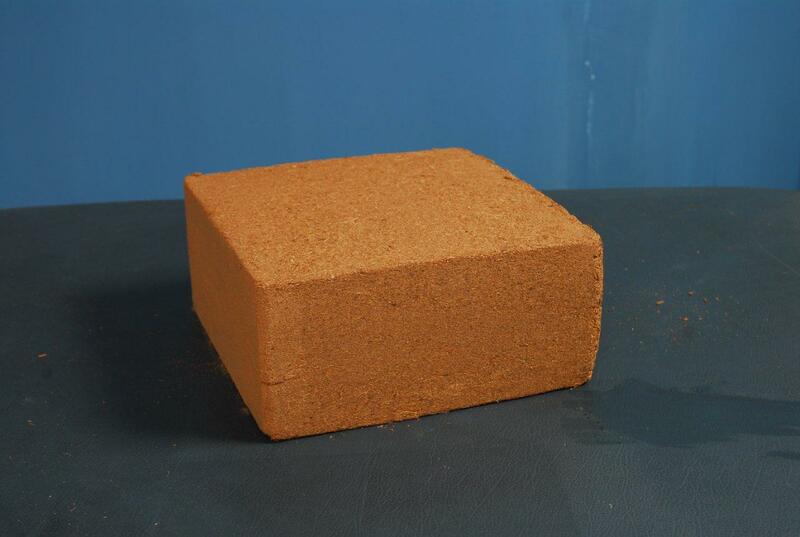 produce various types of coir growing substrates, including chips, chunks and peat. Coir peat is a by-product of the husk fibers that are used to fill cushions and car seats. Dr. Hugh Poole, international agricultural consultant, said coconut coir is initially high in sodium, potassium and chloride salts. “Where the coconut coir originates from can have an impact on the salt levels,” Poole said. “Coconut palms produced inland away from the ocean may not accumulate as much sodium, potassium and chloride, but growers should assume that all coconuts will have high salt levels. Poole advises growers using coir to test for soluble salts before it is combined with other mix components and before any plants are placed in the coir. Poole said growers who ask their suppliers for a low EC coir is similar to asking for a low EC peat moss or compost. “If growers have to deal with a growing mix component with an EC level that is always bouncing around, it is going to be very challenging for those growers from crop to crop and from year to year,” he said. Poole said some growers are asking suppliers to buffer their coir with calcium nitrate. “These growers are thinking that the cation exchange sites are loaded with potassium and sodium ions and if the coir isn’t buffered with calcium nitrate then their crops may suffer a calcium or magnesium deficiency,” he said. “These types of deficiency problems are more commonly encountered with hydroponic systems. If a substrate is being used, then this usually isn’t a concern. Poole said if the coir’s EC level is initially low and growers apply a Cal-Mag fertilizer at the beginning of a crop, there shouldn’t be deficiency problems. He said growers using reverse osmosis water, in which there is no calcium or magnesium, should make adjustments in fertility especially if they are producing a fast growing crop. Although no deficiency problems might occur, Poole said growers should be diligent in monitoring fertility levels. crop, there shouldn’t be deficiency problems. Poole said growers, who are using coir and are planning to use a 20-10-20 fertilizer, need to be aware that this fertilizer does not contain any calcium, magnesium or sulfur. “The growers are going to have to add these nutrients,” he said. “If growers are using coir they have to recognize that the exchange sites need to be filled or charged with calcium and magnesium before there starts to be a free exchange of nutrients back and forth. Poole said initially, the natural salts found in coir must be leached with water. The remaining salts will be exchanged with calcium and magnesium by a buffering treatment or with elevated levels in the fertility program. He said buffering is not an option for organic growers. Poole recommends growers should review both their water analysis and their fertilizer analysis to know what nutrients they are applying and to confirm nutrient levels. “Young plants and bare-root plants are more sensitive to high salts than to short-term nutrient imbalances,” he said. Long-term crops should be monitored using tissue analyses to optimize plant nutrition and crop productivity. Poole, FloraSynergy; (864) 359-7090; hapoole@Interact2Day.com. uniformity of germination and growth. propagation blocks provide further stability. for additional cultivation cycles during the year. stages in the production process; propagation and final production. by retaining a high plant density. allows irrigation to be managed. Often in propagation, too much water is given. This results in weaker plants with greater susceptibility to disease. the blocks or AO sheets to decide if irrigation is needed (table 1). Coir is a natural, and renewable resource produced from mature coconut husks. 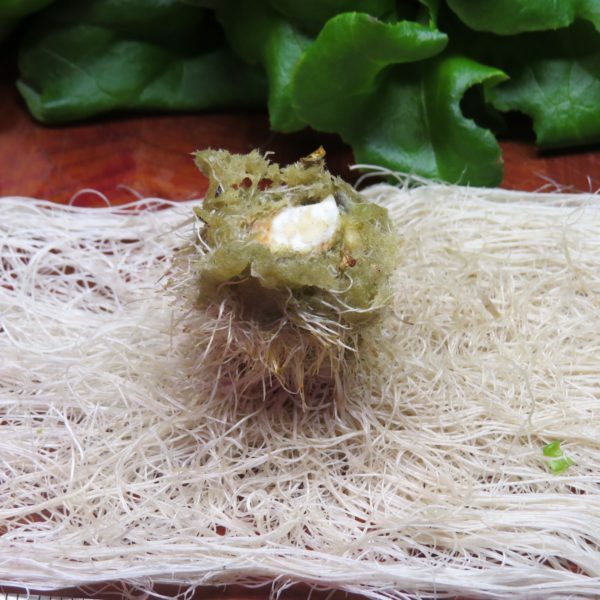 Coir fiber is a coarse material obtained from the husk surrounding the coconut seed. Coconut palms (Cocos nucifera) yield coconuts, which are harvested in 45-day cycles. The husks are separated from the nuts, which are consumed as food. The husks are used to produce growing substrates. The husk fiber is spun into a wide range of textured yarns. These yarns are used to produce a variety of products including colorful woven floor coverings. Sri Lanka is the largest exporter of coir in the world. The coir industry began in Sri Lanka in the 1860s. Over the years, piles of coir gradually grew around coir mills and the country faced a major disposal problem. In the late 1970s, coir fiber products started to be exported to many different countries. European customers realized that the coir from Sri Lanka had desirable horticultural properties. RIOCOCO coir substrate products originate from Kurunegala in the heart of Sri Lanka’s coconut triangle. Here the coconut palms flourish in the region’s rich soil and humid tropical climate. RIOCOCO coir was introduced in 2004 after many years of extensive testing, research and development combined with customer feedback. Carefully selected raw materials are blended together to produce high quality coir substrates in different formats. RIOCOCO owns eight production facilities in Sri Lanka. These operations have the capacity to produce 4 million greenhouse grow bags per year along with other growing medium products. RIOCOCO coir is lightweight and can be compressed into a variety of shapes. It decomposes slowly due to its high lignin content. It is uniform and consistent because of the production process that uses various sieving systems and mixes different particle grades. RIOCOCO coir is widely available and doesn’t create any environmental problems during the production process like other inorganic growing media. RIOCOCO is the first North American-based company to obtain the OMRI listing for coconut fiber. RIOCOCO coir has excellent porosity and water holding capacity, which can be changed according to crop requirements by blending different grades of coir. It has ideal chemical characteristics for plant production. It can be reused for several crop cycles and can be easily disposed of without any environmental concerns. RIOCOCO is conducting research to develop the next generation of products that will be suitable for different and new growing techniques. Each product is tested under different greenhouse conditions in temperate countries including the United States, Mexico and Japan. Currently, tomatoes, cucumbers, bell and chili peppers, egg plants and strawberries are grown hydroponically in custom blended RIOCOCO coir grow bags. These production systems include low-tech and high-tech greenhouses and nursery container systems. RIOCOCO products consist of different blends based on the requirements of specific crops and the duration of the crop cycle. Every crop has a specific air fill porosity and water-holding capacity. When the water-holding capacity of a growing medium is too high, root diseases such as Pythium and Phytophthora can occur. A growing medium with a water-holding capacity that is too low causes water stress and results in poor plant development. Another important characteristic of a growing medium is stability. Growing media consisting of smaller particles are decomposed faster by micro-organisms. 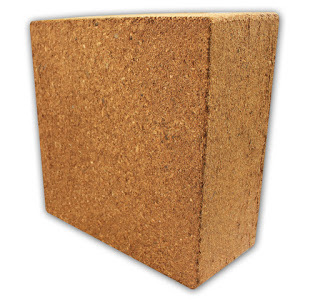 Many of the coir substrates on the market contain smaller particles that will decompose in the slab or pot after a couple of years in production. Crops like bell peppers that have a long cropping period require a more stable substrate such as a blend of coconut husk and coir. RIOCOCO has developed a special mix for bell peppers that contains different particle sizes of husk chips and natural materials. This open mix has a higher water-holding capacity and air fill porosity. Different mixes are also available for container-grown plants. A major consideration is the method of irrigation. For container plants produced with ebb-and-flood irrigation a more open substrate that holds enough water is needed. RIOCOCO coir is washed and dried to remove excess sodium before it is blended and manufactured into slabs and blocks. These coir products are not pre-buffered with calcium which enables growers to make this adjustment depending on the crops’ requirements. Buffering coir prior to use is necessary and can be done by applying additional calcium nitrate and less potassium nitrate to the nutrient solution when expanding the slabs and during the first two weeks of production. After this period standard nutrient formulations can be used. The root activity in coir slabs is higher than in other organic and inorganic substrates resulting in a higher pH. This increase in pH can lead to a poor uptake of iron. 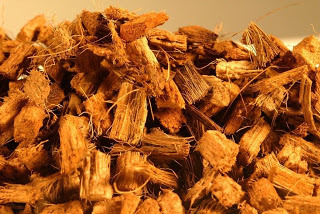 The electrical conductivity (EC) or conductivity factor (CF) of RIOCOCCO coir is comparable to other substrates. 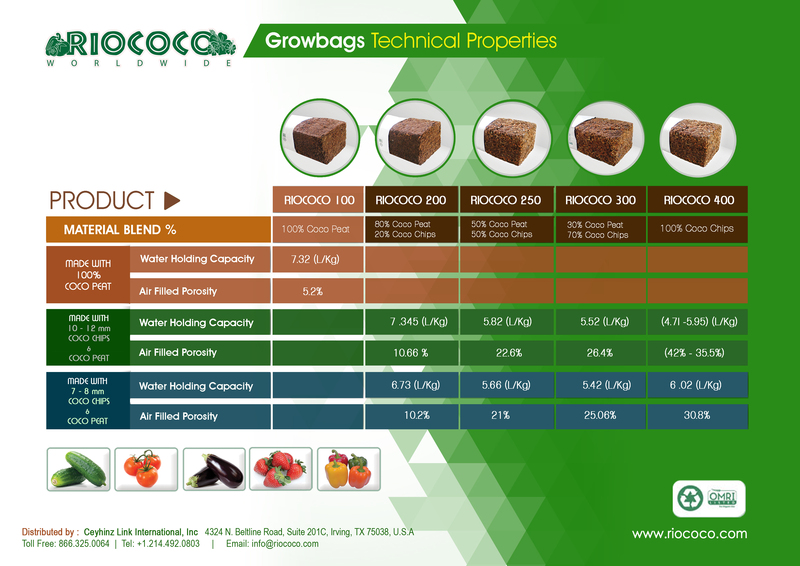 There are no differences in fertilization for plants grown in RIOCOCO coir products compared to other growing media apart from the nutrient adjustments previously mentioned. Since coir holds water much better than other inorganic substrates, less water needs to be applied and it is readily available to the plants. In general, during the summer drain percentages of 20 to 30 percent are obtained. During the winter less water has to be applied as coir can be easily over watered. A good method of controlling irrigation is to use a weight scale and work with a dry down of 10 percent for the coir slabs. In most cases a drain percentage of 10 to 20 percent is obtained. RIOCOCO coir products include slabs, trays, bags and containers. The slabs can be produced at any length, width and height to match any production system and crop. Special orders are possible such as layered slabs in which layers of different grades of coir are placed on top of each other. RIOCOCO can also make special blends for crops with different water-holding capacities and for long term crops. For long term crops an important factor is the stability of the plastic wrapping around the slabs. Wrapping that is not UV-stable can deteriorate causing the slabs to fall apart and allowing weeds to grow in the coir. Upon request RIOCOCO slabs can be wrapped in UV-resistant plastic that is guaranteed to last for at least a year. Shan Halamba is chief executive officer, Ceyhinz Link International Inc., Irving, Texas; (214) 492-0803; http://www.riococo.com/. A growing medium should provide support for the plant root system. The medium should also allow the roots to penetrate easily in search of water and nutrients. This means a medium should be able to provide ample pore space for oxygen and to hold water and nutrients.